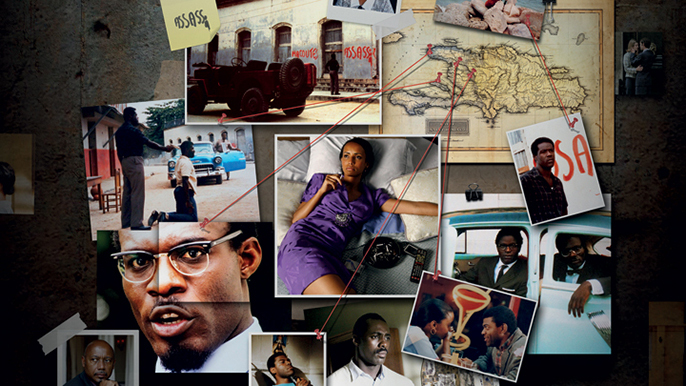 Afridiziak is proud to be a promotional partner for the Stolen Images: People & Power in the Films of Raoul Peck season at the BFI. Haitian born filmmaker Raoul Peck makes hauntingly compelling films about recent Pan-African history via the medium of both drama and documentary, in order to imagine and interrogate the experience of the African and African diaspora community at both the social and individual level. During December BFI Southbank will celebrate his work with a season of films, including screenings of Murder in Pacot (2014), Fatal Assistance (2013) and Lumumba (2000). The highlight of the season will be Raoul Peck In Conversation, during which Peck will discuss the politics within the broad spectrum of his films with Colin Prescod, filmmaker and chair of the Institute of Race Relations. Peck’s astonishing debut feature Haitian Corner (1988) tells the story of a troubled yet passionate émigré Haitian living in Brooklyn, who struggles to break free from the trauma of years of torture and imprisonment and rekindle an old romance, while Man by the Shore (1993) was the first Haitian film to be screened in the US, and the first Caribbean film to be selected for the Cannes Film Festival, bringing brought Peck well deserved international recognition. A number of Peck’s films are penetrating dramas set against momentous recent historical events. These include Lumumba (2000), a ground-breaking drama about the culmination of Congo’s struggle for independence after 80 years of Belgian occupation, and Sometimes in April (2005) starring Idris Elba, which is considered by many to be the definitive drama about the genocide in Rwanda. Peck’s investigation into the ‘disaster aid’ industry in Fatal Assistance (2013) takes the audience on a two-year journey through the colossally challenging rebuilding of post-earthquake Haiti. This radical and revelatory documentary boldly presents the argument for an immediate stop to current aid policies and practice. There are dark secrets and sexual intrigue in Murder in Pacot (2014); inspired by Pasolini’s Theorem it tells the story of a wealthy couple who struggle to survive in the aftermath of the devastating Haitian earthquake of 2010. Raoul Peck’s ability to portray epic encounters while combining the personal with the political makes him an acclaimed director ripe for discovery.